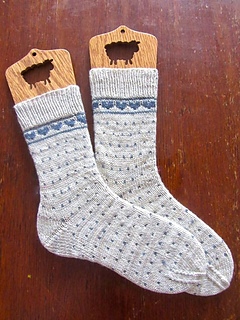 Knit in traditional Norwegian fair isle, Dale socks are the adult version of the Suesie Dale♥. 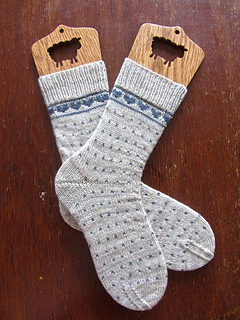 Inspired by none other than the beautiful fair isle motifs Molly’s lovely Grandmother Sue and her great grandmother knit and designed with for many generations. 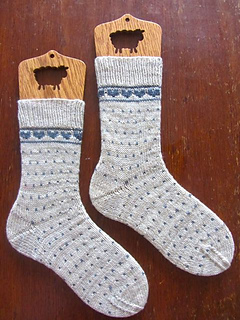 Pictured socks feature a fish lips kiss heel (a separate paid for pattern) However, the pattern does offer a heel flap and gusset option.